The town of Wanganui is a bit of an oddity, name wise. It has two different spellings, both of which are recognized, but one can cause quite a bit of confusion. Often the city will be spelt ‘Whanganui’, which, if following the common Maori pronunciation for words, would make it sound like ‘Fanganui’. 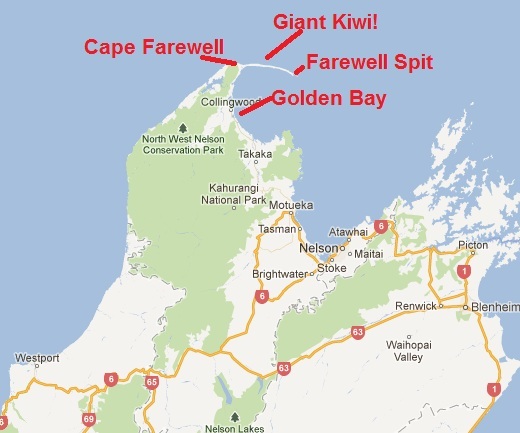 But in this case, it is pronounced ‘Wanganui’ (or ‘W’anganui’, the official pronunciation given by the local Maori). The written name has been shifted back and forth by the government (locals voted to keep ‘Wanganui’), and now both are considered correct (the pronunciation hasn’t changed). It’s all very confusing, the history on it. (For my purposes, I’ll use Wanganui to designate the town and Whanganui for the river and park). What isn’t confusing is the town itself. The Whanganui River is the prominent feature of the city, cutting a swath beside the downtown on it’s journey to the ocean. The river is the third longest in New Zealand, and starts up near Lake Taupo. It also so happened that my hostel was situated right along the river. Winning an award is always a momentous occasion. Winning it a few times indicates you are doing something very right. Winning an award 14 times in 20-25 years…well that is outright dominating. 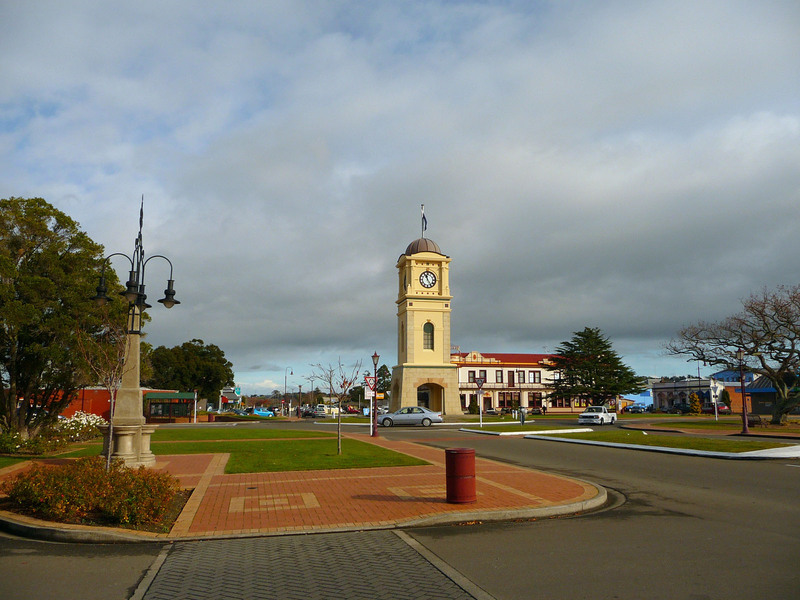 The town of Feilding lies about 20 minutes from Palmerston North, but at least by reputation, is a world away. Feilding has won the distinction of ‘New Zealand’s Most Beautiful Town’ 14 times, so I figured a visit on my way to Wanganui was worth the small detour. For a town of 14,000, the downtown felt like it caters to far more. That’s probably because it is so nice and open. The downtown streets are good and wide, and have plenty of parking. Which, by the way, is for unlimited time and free (a pretty novel concept in NZ!). No traffic lights to slow down traffic (not exactly unheard of for NZ towns though). Plenty of tasty cafes touting their caramel slices for me to sample. And very clean and well kept. For mid day (11 in the morning), the place felt alive too. There was a warm, vibrant feeling to the small town. I didn’t stay too long. But it was a pleasant detour. Nice place to live I imagine. 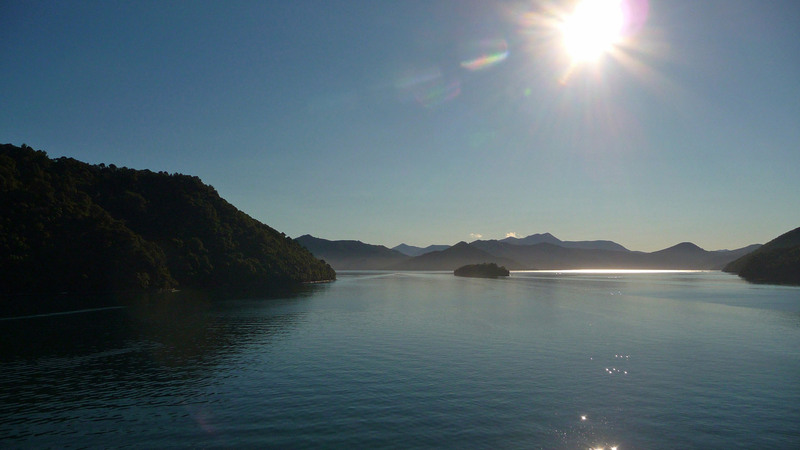 Outside of Palmerston North lies the end of the Ruahine mountain range and the start of the Tararua mountain range. The two ranges are separated by the Manawatu Gorge, containing the Manawatu River. The gorge and river are unique as it is one of the few still running rivers to cut entirely through a mountain range (supposedly the only in the southern hemisphere). In order to do so, the Manawatu has to be an ancient river, in that it predated the two mountain ranges on either side. The gorge was formed but the mountains rising upwards and the river continually keeping it’s place, causing sheer walls of rock to go up on either side – normally, a gorge would form by water funneling and eroding it’s way down out of the mountains. Wind also tends the funnel and be consistent in the area. Thus, energy companies have put up a few wind turbines. 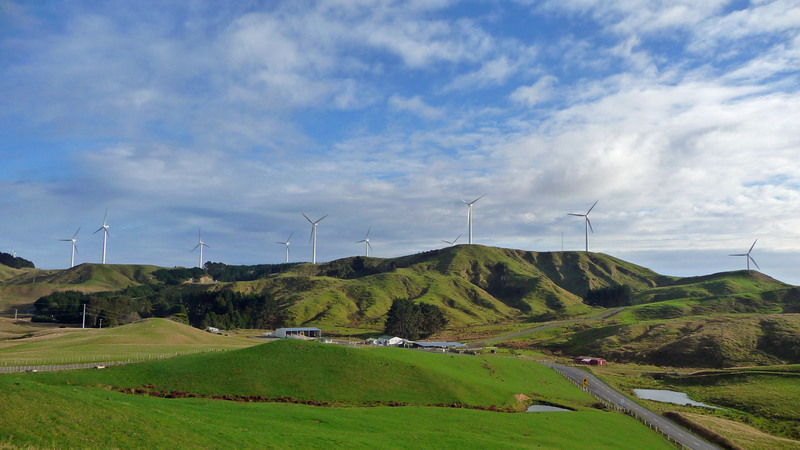 Actually, more than a few, the area is home to the largest wind farm in the southern hemisphere (there are over 150 in total here). Palmerston North – Not terrible! I realize that doesn’t sound like a ringing endorsement for the city, but the place simply doesn’t have the best of reputations. After John Cleese visited the city in 2005, he was now famously (in New Zealand) quoted as saying ‘If you wish to kill yourself but lack the courage to, I think a visit to Palmerston North will do the trick’. Yikes. Even Kiwis have no interest in the city, as they recently ranked Palmerston North DEAD LAST in the whole of New Zealand as domestic places they’d like to visit. Yikes, again. 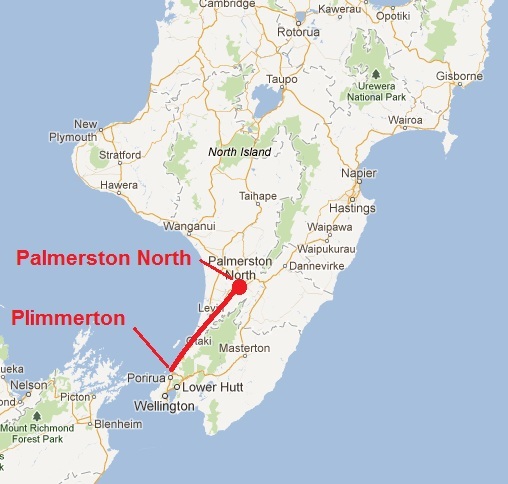 As for myself, Palmerston North was hardly out of my way, so I was curious to see just how bad such a place could be. Plimmerton is a small town about 30 minutes by train or car up the coast from Wellington and it is where I had been staying while visiting Wellington. The hostel scene in Wellington itself is pretty apalling – poorly kept, expensive and most important to me – none had free parking. So I was relegated to the outskirts, but that wasn’t a bad thing at all. 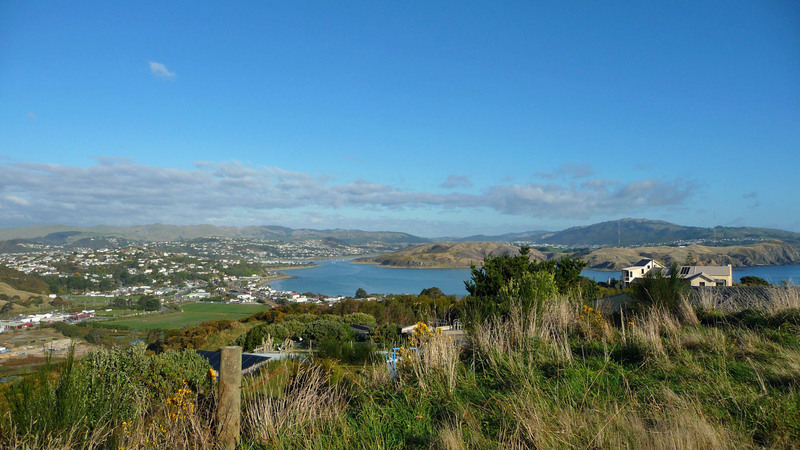 Plimmerton, and the hostel I stayed at, were fantastic. One of the PRIMARY reasons to come to New Zealand is the amazing landscapes. And exploring them by foot is probably the best way to see a good part of the country, at least if you have the time to do so. After nearly 12 months, I’ve gone on a lot of hikes. The single day hikes range from quick 20 minute jaunts to full day expeditions, but it is the multiple day outings that are the most notable. Through these hikes you can get completely lost in nature – many kilometers from the nearest road, with just the bag on your back to support you for several days in a row. ‘Tramping’ is something I had never tried before coming to New Zealand, but I’m definitely glad I discovered the joy of doing so.